Warning: This is likely to be a long post. If you know you do not have the patience, ignore this post altogether- that would save you a lot of troubles. I would have loved to make it shorter, but how well can one summarise an experience of about 365 days in few words without losing its essence and piquancy? Besides, I discussed some very personal matters in this report. Therefore, the less people read it, the better for me. Last year was 2013. I set out for 2013 with bright resolutions articulately outlined in my diary. I kept a diary then; I don’t any longer. At the end of 2013, I found out that I had failed to fulfill any of my resolutions. Consequently, going by those resolutions, I assent 2013 was a huge failure, albeit interspersed with a number of successes here and there. In my end of the year report for 2013, I admitted that I had learnt several lessons in the course of the year, invaluable lessons that should help in later years. Thus, when the dawn of 2014 announced its presence with high hopes, promises, newness and all, I was wise enough not to get too excited by the frenzy and superfluous jollification that heralded it. I chose not to make any resolution for this year on purpose, and I do not regret it. I’ve been taking a step at a time all along. Looking over the past 12 months in retrospect, I can only say my successes have balanced my failures. Simply, 2014, to me, is a success just as much as it’s a failure. In light of this, I am rounding off this year neither with smiles dancing on my face nor with tears trickling down my cheeks. I would only be right if I choose to laugh as I write this report, just as I would not be wrong if I decide to weep as I take you down this very memory lane- for whichever of the two I select, I have a zillion reasons to justify it. The truth is heavy, says a Jewish proverb, so a few men carry it. People might have assessed my life in 2014 and rated it as excellent, but I know myself better than any one of them knows me. So, it behoves me to either carry the heavy truth that I alone know or bask in their exaggerated perception of me. I go with the former. I have had to make very crucial decisions in 2014, one of which might reverse a facet of my life for a whole year and even affect it in a way or the other for many years. But it was a decision I gladly made. You see, it takes a lot of discipline and stress for one to strive and excel in a place where your interest isn’t. I felt I was too lazy to put up with such stress and discipline, so I chickened out and left for where my interest lay. I know in this new place there would also be cause for me to exercise some discipline and manage some stress, but it’s different this time around, for this is now a place I have always wanted to be. Already, I possess the enthusiasm to brave whatever comes. It’s never wise to settle for less when there is something better within your reach, I believe. What if I tell you that no one has ever given his best on Earth? Ore mi atata, I know this may sound inane, but it’s the blunt truth. No one has ever given his best in anything. This much I have learnt this year. Well, it’s true that we do purpose in our hearts and set out to give our best in things, but, sincerely, we never get to. I do not mean that we would never end up achieving the success for which we intend to give our best. Instead, I posit that we would achieve that success- or the undesirable failure, as the case may be- before our very best is given. This is because our best is limitless to be quantified by any known success or failure. You might have thought your best is reading for 10 hours a day, but if you try today, you might end up reading for 10 hours and five minutes. Again, if you think the newly achieved 10 hours and five minutes is now your best, you can try tomorrow and actually read for 10 hours and six minutes! That’s the limitlessness of human best. Why did I take my time to explain this limitlessness of human best, you wonder? All right, I shall tell you why. It’s because I get irritated when people say, “I tried my best”. Though that sentence is right grammatically, it’s grossly wrong in the actual sense of it. It’s my opinion that it’s more appropriate to simply say, “I tried” or “I tried very hard”. The one who achieves success has not necessarily tried his best; he might have only tried harder than others. The same goes for the one who fails; he might have tried hard but still less in relation to others. Of course, luck still has its place in all this. Yes, 2014 taught me this much. In the year 2014, I must admit laziness cost me a lot of precious things. Apart from more glamorous achievements in academics, passion and fitness that eluded me as a result of my laziness, something more priceless than them all also missed me by the whiskers. It was love. Perhaps I would have had a beautiful lady (no, I’m not describing her beyond that, before you people start hazarding wild guesses) who would dote on me, enliven my year and banish banalities from my life, the banalities of reading and writing and just living, but for my laziness. I had had my eyes on this princess for a whole year. And when I felt the time was ripe- that was after a whole year; I am very patient, isn’t it?- I expressed to her my feelings in very colourful words. So, what was her response? Oh well, she took her time to turn me down graciously, and even put upon herself the burden of my counsellor, advising me to shelve such childish and stupid thoughts. I felt silly, but heeded her advice nevertheless. Few months after, I tried my luck again. Her response remained the same, only that it was a bit hurtful this time around. Maybe I should have known that, like most girls do, she was merely playing hard to get. But how would I have understood such mysteries about girls when I was only busy studying, playing football and hunting rabbits while my friends made revealing and wonderful discoveries in the “science of love”? There is always a price to pay, isn’t it? I became lazy after that second trial. I am a straightforward person, unlearned in ladies’ subtlety of dawdling. I hadn’t known that getting a good lover required as much hard work as extracting gold from the mine. In a nutshell, that’s how I missed her, that good and beautiful lady! If you like, wish me a better luck and more diligence next time- or maybe it’s not yet late after all. Anyhow, I’m better equipped now. What do I say of the awesome acquaintances I have made both online and offline this year? Good God, these are the people who have made 2014 worthwhile. Some of them keep supporting me with kind words and encouragements while others have saddled themselves with the duty of tasking and bringing out the best in me. To every one of them, I’m profoundly grateful. We would do things greater in 2015 together. It would be an unforgivable oversight if I fail to address the one thing that has been my consistent source of humour- the Nigerian politics. The endless dramas this sector has kept churning out belittle the creativity of our entertainment industry. The gubernatorial elections held in Ekiti and Osun were quite fascinating while they lasted. More captivating, however, is the twist of fate that will now compell Nigeria to choose between the devil and the deep blue sea come February 2015. For all I care, the PDP and the APC are two sides of the same coin. Was it not in our presence that both parties exchanged candidates of not so honest characters like ones bartering? May God help us in 2015 just to choose the lesser of the two evils we have imposed on ourselves. There is one more aspect I would have loved to make a report on, about religion and spirituality. However, I have two good reasons to evade this aspect. One, I could say this report is long enough and so should be spared of any more word. Two, I could say religion and spirituality are very personal, controversial and sacred, the yoke of which I would rather not encumber you with at all for now. So, this aspect is left to the reader’s discretion. Selah. 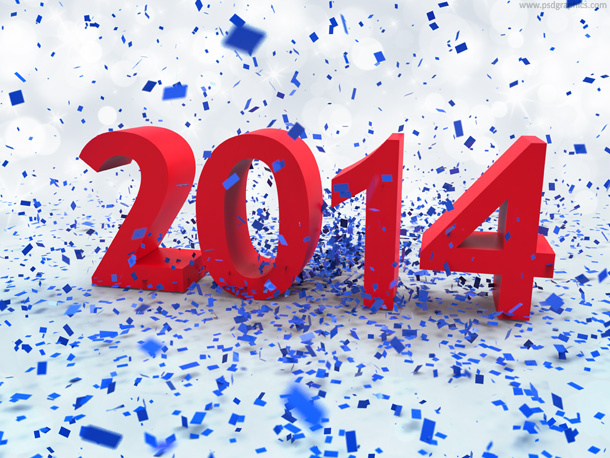 Whatever year 2014 has been to me, be it success or failure or both, I know next year will surely be better. I shall step into 2015 with a mind prepared to overcome its anticipated challenges one step at a time. My earnest prayer is to have enough hurdles in the forthcoming year, for I now abhor idleness. Oh, Julianah, how can I appreciate you enough? You are easily one of my ardent fans, without whom I might as well be writing for myself alone. Thanks for being an inspiration. 2015 can only be better. Enjoy the Yuletide. Yea, bringing back the memories of failures and achievements/success of the year helps in making right decisions for the coming year. I think i have to do something of such too. Thanks for the enlightenment. Yes, you should. I think it has a way of lifting the burdens off one’s mind and giving one a clearer blueprint for the new year. Compliments of the season, Temmy.